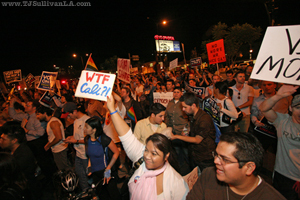 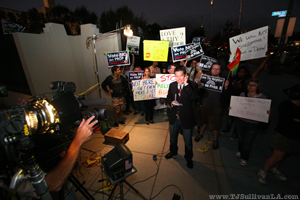 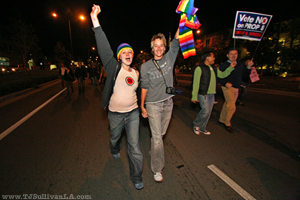 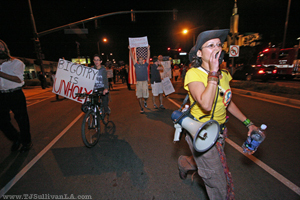 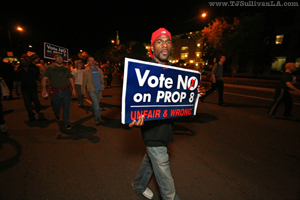 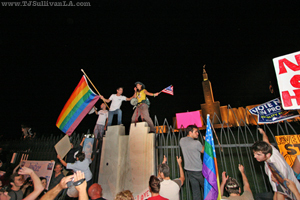 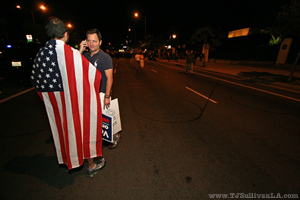 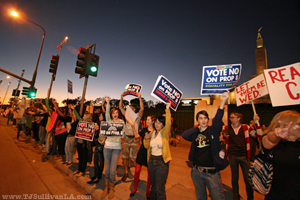 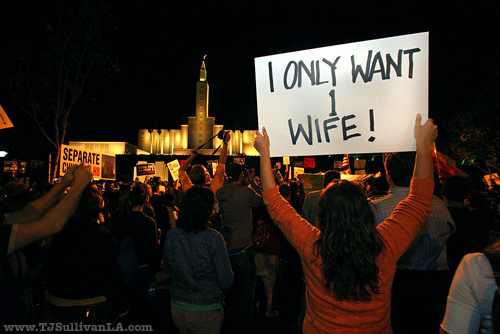 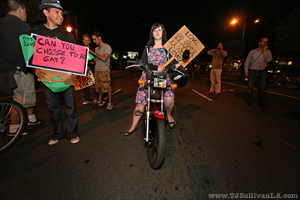 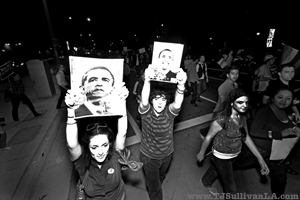 A march to protest the passage of Proposition 8 drew more than a thousand people (and just about every TV news van and helicopter in Los Angeles) to the Westside Thursday evening. 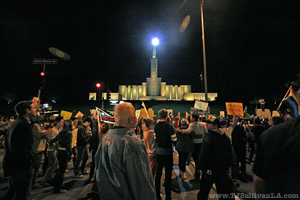 So, I walked over to the Mormon Temple* on Santa Monica Boulevard, camera in hand, and grabbed a few shots. 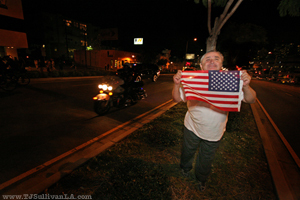 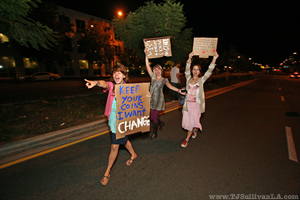 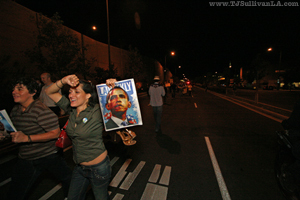 The resulting photo essay is online at www.TJSullivanLA.com, and here (after the jump ). 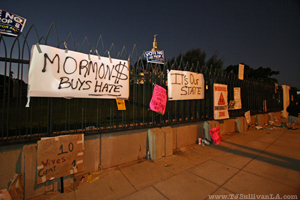 * The temple's proper name is the "Los Angeles California Temple" of the Church of Jesus Christ of Latter-day Saints.